SEO is a legitimate profession, which requires real skill, passion, ethics, honesty and results. Legitimate SEO practices add value to the web through creating unique and engaging content ultimately improving traffic and conversions (not just rankings). Proper implementation of the SEO best practices results in long-term, incremental gains in website traffic. 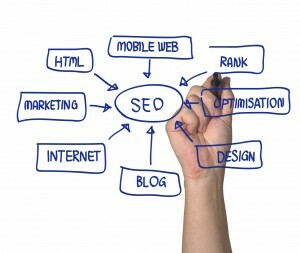 An understanding of the technical aspect of SEO is merely one facet of its implementation. The user needs to see how SEO will fit into different business models and how it should integrate with other marketing channels, specifically other inbound marketing channels. A strong understanding of website technology is necessary to effectively implement proper SEO practices. This includes knowledge regarding: html/css, programming, .htaccess files, site architecture, internal linking structure, anchor text, how search engines crawl websites, page speed etc. Being educated in these areas make it possible for the administrator of any website to maximize the power of their content and increase the quality of their traffic. At the root of all SEO practices lies the art and science of keyword research. Keywords are your front line connection to search queries and the fundamental link between your website and vast numbers of internet traffic. Keyword reports can give you an intimate understanding of how people are connecting to your website and their initial search intention. Social media is all it is hyped up to be only if it is executed properly in a consistent fashion. It can serve to be another effective inbound marketing channel as long as the focus is on building a community around your business, and not another means of serving retail offers. In terms of writing content for your website, it is imperative to remember that the prevailing goal is to write content that is engaging and interesting to your visitors. Do not try to write meaningless copy with the intention of making it easier for the search engines to index your site thus rank higher on SERP’s. Tying in web analytics applications such as Google Analytics to your website is not only free, but provides you with a wealth of opportunity to optimize and continually improve your SEO efforts. 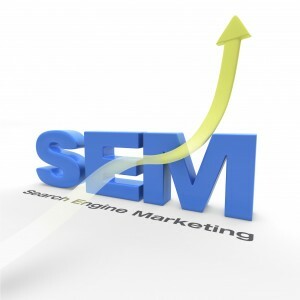 Implementing effective SEO practices is not a one-time, turn-key operation. It is a long-term effort that must be periodically (the more often the better) reported on, analyzed and experimented upon. Search marketing itself is a dynamic beast and those who are at the forefront of the best practices are the ones who are going to be yielding all of the results. Considering the somewhat shady past of SEO marketing and online advertising as a whole, it has the propensity to be the most transparent business practice of any existing today. For example, if a business that wants to promote their website online through search marketing hired an outside agency to manage it for them. That business can readily and easily request to see exactly where their money is being spent, they have direct control over their monthly budget and can set limitations, they can implement practices on their website to help lower their CPC and they can judge their actual ROI by comparing performance data over the same date range. Pick a primary keyword for each page and focus on optimizing that page for that word. Too many different keywords on one page will over saturate it and lose authority. Place your primary keywords in your headline and sub-headlines. These areas of content have greater significance to SE’s. Include the keywords in the body content. But don’t use them out of context, make sure they are relevant to the rest of your content. Include the keywords in the page URL and keep the URL clean. Always prepare your content for your audience and then look to optimize it for search. Create high-quality, educational or entertaining content. Write guest posts for other blogs. This is a win-win for both parties, people want extra content from other in exchange for links. Researching link-building opportunities with other sites. Don’t borrow, beg, barter, bribe or buy links. One of the famous claims being made by imposter companies is that they know secrets about Google and their search algorithm. This simply is not true. In some circumstances these gimmicky practices will result in a very temporary boost to the top of the Google SERP’s but, very shortly Google will recognize these illicit practices and they will actually penalize you and your website for breaking their webmaster guidelines. Unfortunately there are companies out there that practice immoral and bogus SEO techniques and claim to know secrets about Google and can guarantee #1 rankings. In reality this simply a sales ploy and reflects poorly on the industry as a whole. These companies simply game the system to achieve high ranks in the short term, at the expense of the website’s credibility over the long term. They spam the web with links and deliberately duplicate content to gain a short-lived spike in useless traffic. They buy links and submit them to over 300 web directories and call this “link building”. The content they create is written purely for search engines and is often irrelevant and full of errors. This leads visitors who read it to bounce immediately and never return. In most cases these companies are focused purely on rankings and not the overall success of a succinct online marketing strategy. Most importantly these companies never disclose their practices to the clients and ultimately have to explain why they failed to generate any return over the long-run. By that time, your money is in their bank, they quietly bow out and repeat the process with a new client. Your now left with a site that requires significant restructuring to get it back into Google’s good graces.